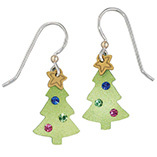 One of the most popular traditions and universal associated with the Christmas celebrations is a Christmas tree. Generally it's an evergreen coniferous tree that is carried inside homes or even used in the open, and is adorned with Christmas lights, ribbons, wreaths and multihued Christmas ornaments during holidays around Christmas. Lets look at the breif history of the Christmas tree. Historically, it was Germans who started the Christmas tree celebration in the 16th century. They first decorated an evergreen tree with apples for the feast of Adam and Eve, which is held on December 24th. Gradually the Christmas tree celebrations spread all over the world from Europe. 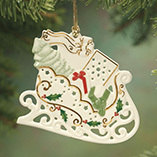 Initially the trees were decorated with candles but later on the trees were decorated with fruits, sweets, nuts, tiny musical instruments, jewelry and toys and now there are varieties of Christmas ornaments to adorn the Christmas tree. In England the Christmas tree celebration was introduced by German Prince Albert, husband of Queen Victoria. They had first put a fashionable Christmas tree with candles, fruits and sweets at their Windsor castle. When English magazines pictured the photographs of popular royals around a Christmas tree that was published in London, the Christmas tree celebration became more popular in the lives of the English. In the United States, the Christmas tree celebration was introduced by Hessian troops during the American Revolution. In 1830, German settlers in Pennsylvania displayed a Christmas tree to raise money for a local church. Later in 1856 American president Franklin Pierce introduced Christmas tree celebration in White House for the Washington Sunday School children. Eventually the Christmas tree celebration became popular throughout U.S. Then President Teddy Roosevelt banned Christmas tree from white house to prevent cutting of trees for Christmas. But in 1913, President Woodrow Wilson again started Christmas tree celebration in White House. Conventionally, Christmas trees were not brought in and decked until 24th December, the Christmas Eve and then was removed the day after 6th January, the twelfth night, infact because to have a Christmas tree up before or after these dates was thought to be ominous. But But the modern day commercialization of Christmas has resulted in trees being put up much earlier; often in markets and in shops they are erected as early as late October. A very familiar tradition now, in the homes of U.S. is to put up the tree right after Thanksgiving, i.e., the fourth Thursday in November and is taken down right after 1st January. Although in Europe, the private Christmas trees are not generally put up until at least the mid of December and are taken down by the 6th of January. However in Germany, Catholics put down their Christmas trees by the 2nd of February. Fresh evergreen Christmas trees look great, festive and bring warmth to your Christmas decorations but are often a hassle to manage. 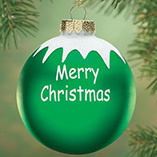 Though they are a part of Christmas tradition, still artificial Christmas trees are becoming extremely popular, particularly in the United States. Artificial trees may look unrealistic but are convenient to assemble,decorate and put away. 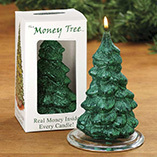 They also are pretty economical as real Christmas tree are expensive. Many of these trees are pre-decorated with Christmas lights and ornaments while others need to be decorated. After Christmas, they can be easily disassembled into a compact form and stored away for nest year! A good artificial Christmas trees lasts as many as fifteen years so do buy after proper researching. It's like making a one-time investment for the Christmas decorations, which will last about a decade. Many people who live in rented homes, artificial trees is a necessity for them as the dry leaves pose a threat of fire and hence real Christmas trees are prohibited by many landlords. They are also considered more appropriate for an official setting like in cooperate offices or business Christmas parties. There are many kinds of artificial Christmas trees available in the market during Christmas time or on the Internet all round the year. Also the option of having an artificial Christmas trees is also a boon for environmentalists as a way to save thousands of trees from being hacked just for a day of festivity. Looking at the origin of first artificial trees, they were tabletop feather trees, generally made from goose feathers dyed in green color and wound onto sticks punctured into a large one, just like the tree branches. Interestingly, they were invented to prevent deforestation in the 19th century Germany. These trees also were good enough to show off Christmas ornaments very well. In the year 1913, these feather trees were brought to U.S. in the company catalog, Sears and Roebuck. Companies that produced brushes first introduced the modern artificial Christmas tree. They were made initially with animal hairs and then plastic bristles that were dyed in green color, and were carefully inserted between twisted wires that formed the branches. Then together the bases of the branches were twisted to form a large thick branch, which was then inserted into a wooden pole forming the trunk. The branches were of different sizes, color-coded at the base with paint. Around the year 2003 in U.S., a new dimension was given to the making of the branches that were made of molded-plastic. Surprisingly, you will now find upside-down Christmas trees in the market that are supposed to give more space for presents. Then came the designer trees in the 1950's and 1960's that were known as the metallic trees that were not green. They were made from aluminum-coated paper that also posed a great fire threat if lights were put directly over them. So instead a floodlight or a spotlight usually lighted them, with a motorized rotating color wheel in front of it. The more recent invented tinsel trees can be used with lights very safely. The other kind of artificial Christmas trees doesn't resemble a conifer tree except the triangular shape, are used as tabletop decorations or centerpieces like a stack of ornaments. Some of the other artificial trees that gained popularity in U.S. in the 2000s were the branched trees in the lawns made out of heavy white-enameled steel wires and the spiral ones that suspend from a central pole in the 1990s, both styles are lighted with standard multi-colored miniature lights. Other kind of artificial tree is creatively displayed by few hotels and other private or public buildings, who suspend sequence lights up from the roof to the top of a tower on the building, so when lighted at night it appears as a sparkling Christmas tree, using green or other colored Christmas tree lights. Many indoor artificial trees came pre-stung with Christmas lights since the late 1990s. Some are partially or completely lit by fibre optics with the light in the base, and a rotating color- wheel in front of it causing various colors to twinkle across the tree.